Diploma of Acupuncture (Auckland Acupuncture College)Member of Acupuncture NZ (formerly New Zealand Register of Acupuncturists). 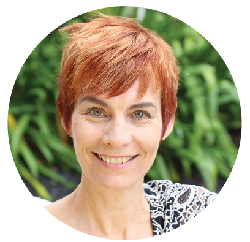 Recipient of the 2008 NZ Health Industry Disitinguished Service Award in recognition of her outstanding contribution to Natural Health as an Author, Journalist and Public Speaker. Author of three published books on Natural Health - the latest is Well-Being (Harpers) - a comprehensive guide to Women's Health.